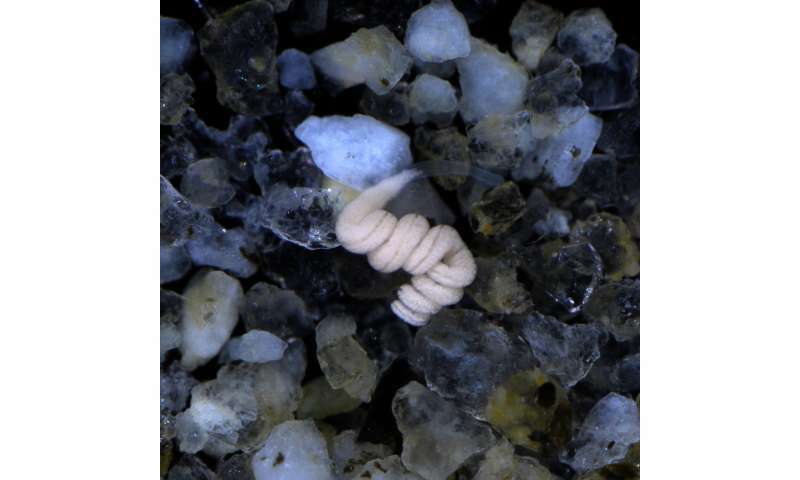 In the sandy bottom of warm coastal waters lives Paracatenula—a small worm that has neither mouth, nor gut. Nevertheless, it lacks nothing thanks to Riegeria, the bacterium that fills most of the body of the tiny worm. Riegeria looks after its host—it is farmer, quartermaster and cook all in one. A research team researchers led by the Max Planck Institute for Marine Microbiology has now deciphered how the bacteria supply the worm with nutrition. Whether on an expedition to Antarctica, in space travel or while camping—if we cannot get our food from our surroundings, we have to pack provisions. 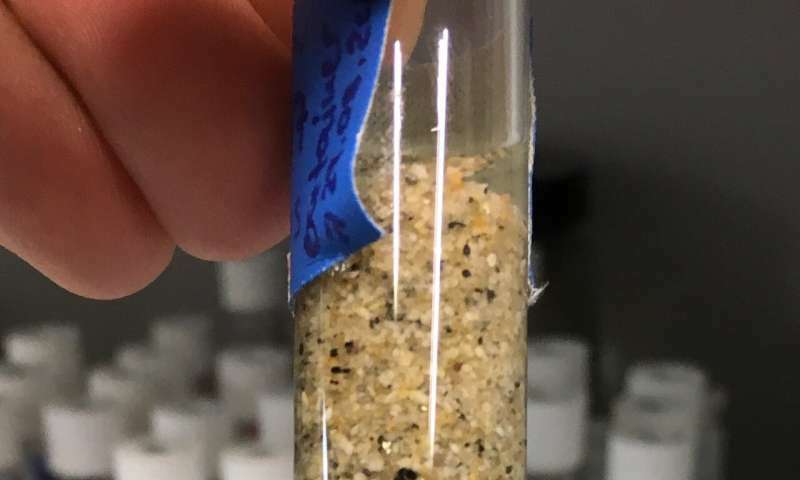 Researchers from Bremen have now discovered an astounding bacterial provider of provision packages in the sandy seabed off the island of Elba in the Mediterranean. A single symbiotic bacterium provides its host with everything it needs—to such perfection that its host, tiny worms called Paracatenula, no longer has a mouth or gut. And the bacterium even serves the food in handy portions. The bacteria and the worm have been a couple for at least 500 million years. Over these years, the symbiont has reduced its genome and has only kept essential functions. Despite this reduction, it supplies the worm with everything it needs to thrive. "The symbiont´s food packages for sure contain lipids and proteins, but likely also sugars and fatty acids, vitamins and a number of other substances for energy and biomass supply," says Harald Gruber-Vodicka, initiator and head of the study. "We have not seen anything like this in any other symbiosis—that, despite such a reduced genome, a single bacterium can produce so many different substances and make them available to its host". A big surprise for the scientists was the mode of how the symbiont is thought to supply its host. "In all chemosynthetic symbioses known to date, the host digests the bacteria to access their nutrients," explains Oliver Jäckle, who carried out the study as part of his doctoral thesis. "Other chemosynthetic symbionts additionally use so-called transporter proteins that deliver nutrition to their hosts. In the Paracatenula symbiosis, we did not find either in large quantities. Everything pointed to a different mechanism." It was only shortly before the completion of his dissertation that Jäckle and Gruber-Vodicka with the help of their colleague Niko Leisch and his electron microscopy work were able to solve this puzzle: The bacteria supply the worm with many small, droplet-like vesicles "It's a bit like a fruit garden," Gruber-Vodicka describes this observation. "The bacteria continuously bear fruit, which the worm reaps. In other symbioses it's more like harvesting a cornfield, their bacteria are completely mowed down, the worm digests most of the bacterial cells. This emphasizes how imaging analyses can be key for in-depth understanding of the physiology of bacteria-animal interactions." The presented study provides unprecedented insights into how a symbiosis between bacteria and their gutless host works. Besides the imaging, a widespread comparison with similar symbioses, for example from mussels or tubeworms, contributed to a detailed understanding of this symbiosis." Our interdisciplinary work, which combined genomics with biochemical and electron microscopic investigations as well as physiological experiments allowed us to look at the symbiosis from different perspectives ," as Jäckle points out. Mixing these insights with a lot of patience, Jäckle managed to keep and grow Paracatenula in the laboratory for now more than three years. Building on these exciting results, Jäckle, Gruber-Vodicka and their colleagues now plan to use the worm's genome to look at its role more closely. "The worm has no means to excrete but also does not appear to have some kind of cellular dumpster. Everything the bacteria provide is apparently used by the worm, one way or the other," says Gruber-Vodicka. 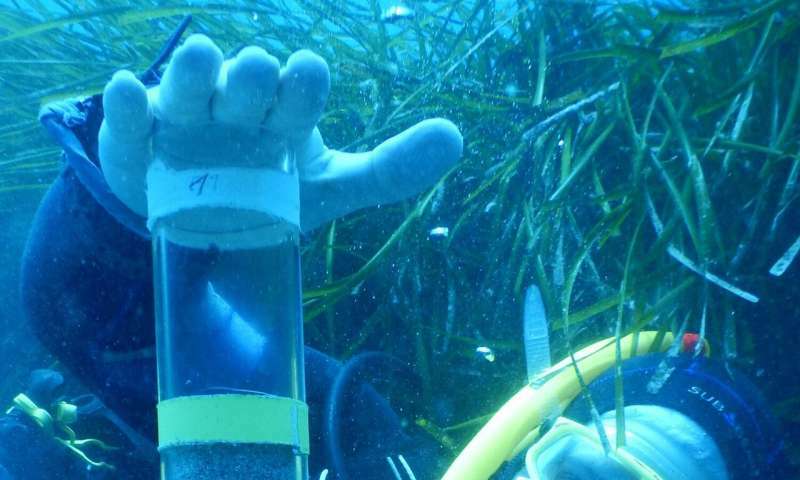 Another avenue for research comes from the fact that Paracatenula does not only occur in the Mediterranean Sea. The researchers have collected them from several sites worldwide. They are currently comparing how symbionts from different host species solve the food provisioning, but also how these processes have evolved in Paracatenula lineages that have split into different species tens to hundreds of millions of years ago. Star Trek area 51 is gonna have star ships that use psychic flat worms to move through space. They are analogous to low temperature tube worms, by supplying O2, CO2, HS- and NH4+ from the environment they seek out, these worms net all the nutrients they need (except the O2 for own metabolism).